Your teeth were designed to last a lifetime. Unfortunately, certain factors can negatively impact your dental health. The sooner you obtain proper treatment, the better chance you have of saving your natural smile. Orthodontic treatment is designed to address many concerns, including misaligned teeth, gaps, bite problems and jaw alignment concerns. At White Orthodontics, we do a thorough analysis of your teeth and dental history. 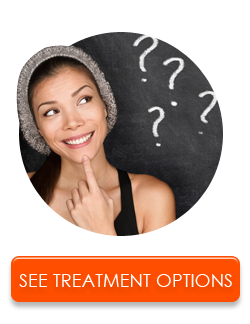 This enables us to recommend the most cutting-edge and effective treatment options available. Our accelerated and affordable solutions make it possible to achieve the healthy smile you deserve! Learn more about the different types of braces we offer, including metal braces, clear braces, Invisalign – even braces that can help you achieve a confident smile 50% faster! Learn more about our accelerated orthodontic treatment options, such as SureSmile, Wilckodontics, AcceleDent and Propel.